As I sit here eating my pierogi and sipping some czarna żubrówka (I’m not joking), I thought it might be an appropriate time to write a few words about Polish Vodka. If you’ve got no idea what czarna żubrówka is, then you probably don’t know too much about Poland’s favourite poison. Let me try to help you with that. The border between Germany and Poland is a line that defines 2 very different cultures. But it’s also seen as the end of the ‘Vodka belt’. The vodka belt, according to wikipedia. Everyone knows that the Germans love their beer. It is an incredibly important part of not just Bavarian culture, but German culture, too. Cross the border into Poland, and you’ll quickly discover that Vodka is to Poles what Beer is to Germans. Not to say Poles aren’t beer fans – I’d actually say that the only thing Poles love more than beer, is their vodka. But Poles certainly love their vodka. The upper echelons of the Vodka community consider Polish vodka to be some of the best in the world. Polish vodka is consistently ranking high in many independent vodka ratings. Not to mention, Poland is home to some of the rarest vodkas out there. The production of vodka in small batches is made from season to season. The production of vodka, especially flavoured vodka is sometimes dependant on the weather, and how fruitful certain crops were that year. Forget Scandinavia, vodka isn’t in Poland’s blood, vodka is Poland’s water of life – when it’s partying, anyway. Bread, milk and 2 litres of vodka, thanks. But why? Why do Poles love their vodka? Why do so many damn good vodkas come from Poland? Is the vodka from Poland the best alcohol for straight shots? Are you better using something like *shivers* Smirnoff? All these questions and many many more will be answered in this article. But like all good things in life, to understand the now, we need to look back in time. It’s an argument that will never be settled – Did Poles invent vodka? It’s a very conscientious issue because there’s so little material to support whether the Poles, Russians or Swedes actually invented it. Not to mention the fact that way back then, borders were just as mixed as the cultures that lived within them. The first written mention of the word ‘vodka’ was around 1400, from the Akta Grodzkie recorder of deeds. What that basically means, is that a part of what was Poland in the 1400’s (but is now Western Ukraine) first publicly recorded the word ‘vodka’ from the Palatinate of Sandomierz in Poland. After that one specific mention, we begin to see more references to this substance within the rest of Polish (and Slavic) culture. It’s worth noting that back in the 1400’s, the word wódka referred to somewhat of a chemical substance, used in medicines and cosmetics. The drink was actually referred to as ‘gorzałka’ (gore-zaw-ka), an adaptation of the Polish word ‘gorzeć’ – which, would you believe, means ‘to burn’. It wasn’t until 1533 until the word (for the drink) was first written in Cyrillic. This time though, it referenced a form of medicinal drink that was imported to Russia from Poland. It’s also worth noting that a clear liquid, distilled from grain and potatoes and used for medicinal purposes can be traced back to the 8th century. If you’ve ever asked yourself ‘What is Poland famous for’, one of the answers you’ll get is vodka. Poland is home to a simply staggering amount of Vodka brands. Of all the vodka brands in the world, more call Poland home than anywhere else. It’s worth noting though, that there are a few different types of vodka. Just like wine, beer and whiskey, there are many different types of vodka. Most eastern European Vodkas are classified as ‘neutral’. Neutral vodkas are made in a traditional way and are essentially tasteless – just bloody strong, with a very alcoholic aroma. There are 3 different purity levels – standard, premium and deluxe. Żubrówka (Rzuh-broov-ka) is a widely known Polish vodka. It’s distilled from Rye and is described as having ‘woodruff, cinnamon, vanilla, coconut and almond notes’. Most bottles come with a piece of Bison grass from the Białowieza Forest – the only place where the European Bison still roams free. In fact, the bison actually eats the same grass that’s placed in the bottle and the Polish word for Bison, Żubr, is the basis for the name of the vodka. Poles love their Bison, just as much as they love their Polish Eagle. TheŻubrówka distillery has been making vodka since at least the 16th century and has long been a favourite of nobility and the working-class. 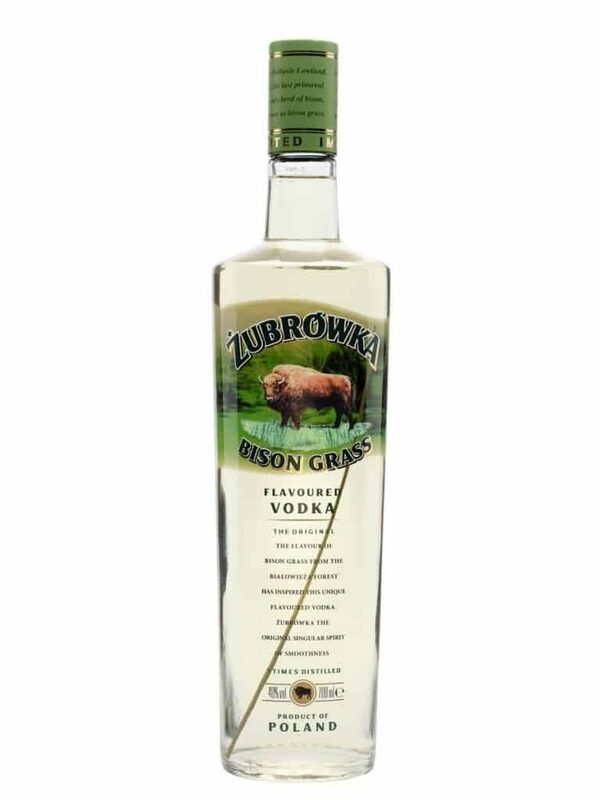 Fun fact: Żubrówka containing traditional Bison grass is prohibited for import in the United States. The FDA bans it, as it contains a chemical called coumarin – know for damaging the livers of rats and having a blood-thinning effect. There has since been a new version created for the American market, containing a coumarin-free piece of grass. Chopin vodka constantly ranks high in many Vodka rankings. Potato vodka is seen as the most traditional and historically accurate ingredient for creating vodka. Potato vodka has a more neutral flavour profile than rye or wheat vodka. A neutral taste is more desirable when making cocktails. Not to mention, potato vodka is easier to make at home. Spirytus vodka – o boże, Spirytus. Say the word ‘Spirytus’ to a Pole and you’ll get a reaction, that’s for sure. Spirytus Polish vodka is 192 proof or 95 alcohol. To say it’s like drinking aviation fuel is an understatement. Spirytus vodka is a rectified spirit, not actually a vodka. It’s used as the base for liqueurs and other mixed drinks and has many warnings not to be drunk straight. 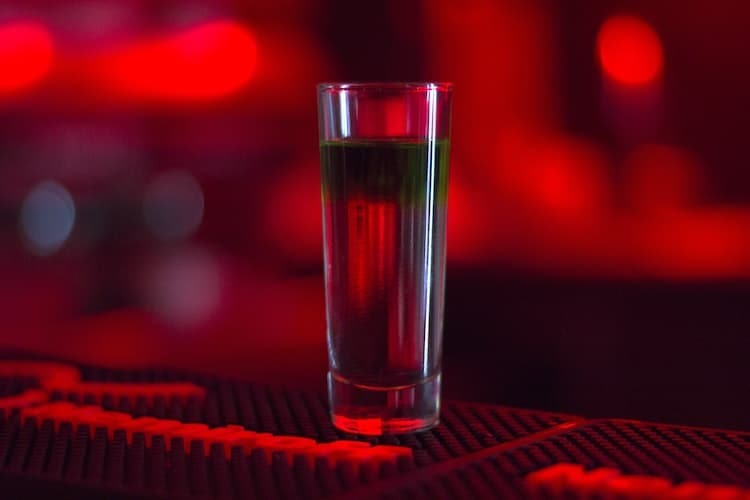 Recently, an Australian girl died after drinking only a few shots of spirytus on her birthday. It’s raised much controversy since then in the UK and Australia. 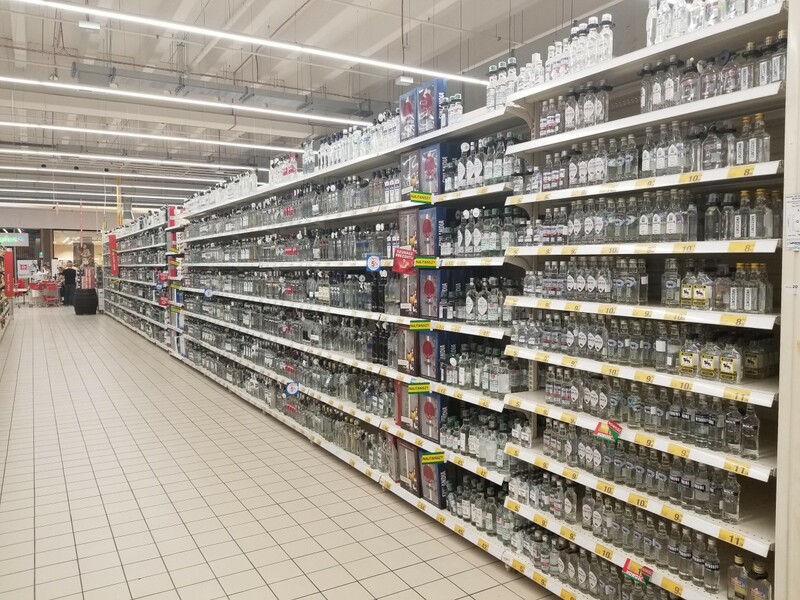 Spirytus vodka seems to have sat on the shelves here in Poland without causing too many problems. Absolwent is a Polish Vodka brand hailing from the northeast area of the country. It comes in several varieties – pure, Absolwent Gin, and flavoured (with fruits like lemon, apricot and apricot). Though it was only launched in 1005, by 2005, Absolwent vodka was the best-selling vodka in Poland. In 2012 it was the 19th most popular vodka in the world by sales. Belvedere is a brand of Polish rye vodka named after the Presidential Palace in Warsaw – and an image of which is depicted on the side of every bottle. It hit the US market in 1996 and is marketed as a ‘luxury’ vodka. In fact, it’s been called the world’s first super premium vodka. 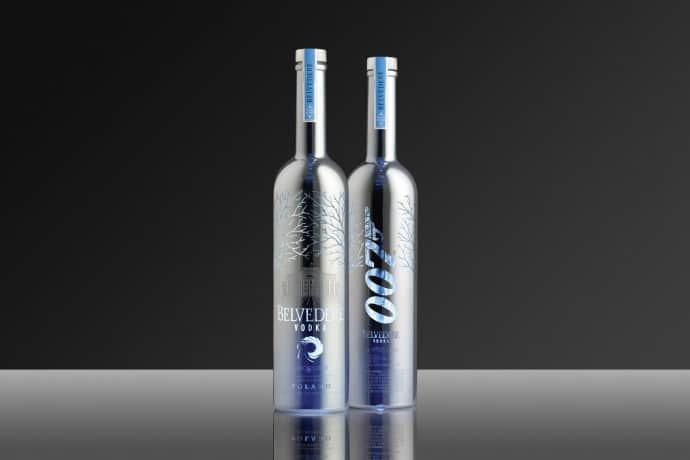 Fun fact: The distillery teamed up with James Bond and was the official Vodka for the 24th Bond film, Spectre. To be labelled as a super premium vodka, Belvedere Vodka must be made using specific grain and water, and made in a specific process. Without going into too much detail, it’s one of the few vodkas in the world that has no artificial additives added to it. In recent years, Belvedere has come under a bit of pressure after independent labs revealed the presence of sugar cane and corn. The accusations have somewhat tarnished the ‘super premium’ image. 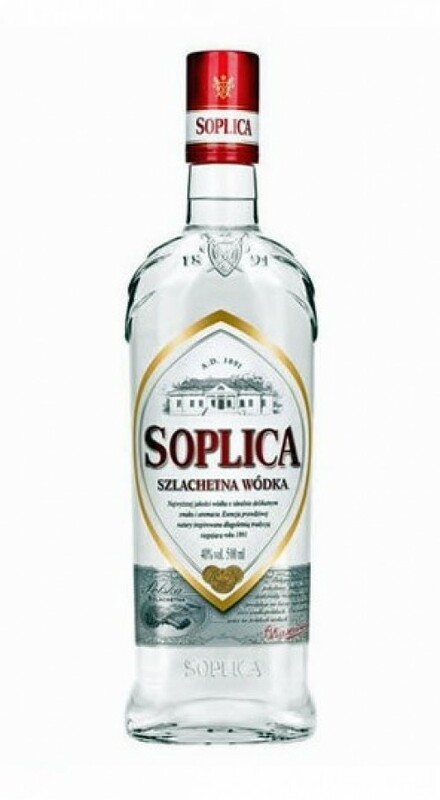 Soplica, or more accurately, Soplica Wiśniowa (Cherry Stoplica) holds a blurry place in my heart – and liver. It was the first vodka I enjoyed with new friends after moving here to Poland. I am by no means a vodka pro, but it’s one of the best vodkas I’ve had. That’s a lot of flavours for a vodka, I think you’ll agree. It also happens to be one of the older distillers of Polish vodka, both pure and flavoured. Stoplica is one of the oldest vodkas that’s been consistently produced at an industrial level. The brand dates back to 1888 to one of the historical capitals of Poland, Gniezno. Stoplica is a very Polish, a very patriotic spirit. Every flavour of the Polish Vodka contains an image from Polish folklore, a poem, story, or some piece of Polish culture. There are hundreds and hundreds of other kinds out there. Please, if I’ve missed your favourite, let me know. Being from Australia, beer is our drink of choice. Occasionally, maybe a Jack Daniels or Jim Beam and Coke. Sure, vodka is drunk a lot, quite a lot actually, but very rarely is it drunk on its own. 99% of the time, vodka is mixed with a juice or something else and turned into a vodka sunrise. Vodka is also the go-to choice for shots. So coming to Poland, I was a little lost at my first Polish toast. I had a small glass, a similar size to a shot glass, and we all shouted ‘na zdrowie’. I slammed that bad boy down, squished my face up and the opened my eyes with a sense of pride. My first Polish toast, with Polish vodka in Poland. What I saw looking back at me, was my girlfriend’s family looking at me in confused awe. It was pretty evident that I had no idea how to drink vodka. In Poland and Eastern Europe, vodka is sipped and savoured, not shot – like us sheltered Australians think. I’ve found that the easiest (and best) way to enjoy vodka is to actually enjoy it and think about it – much like my other poison, whisky. Analyze it and dissect it. Smell the vodka as you swirl the glass. Then take a small sip, let it sit on your tongue and take it in. Exhale through your nose to really get a finer taste of what’s inside your vodka. Swallow, and savour the aftertaste – there’s just as much going on after the drink as there is during the drink. Keep in mind that vodkas are made to enjoy and savour. If the sole reason you’re drinking a higher-end vodka is to get drunk, well, you’re doing it wrong. That’s what we have Smirnoff and cranberry juice for. As mentioned earlier, Poles love their beer. 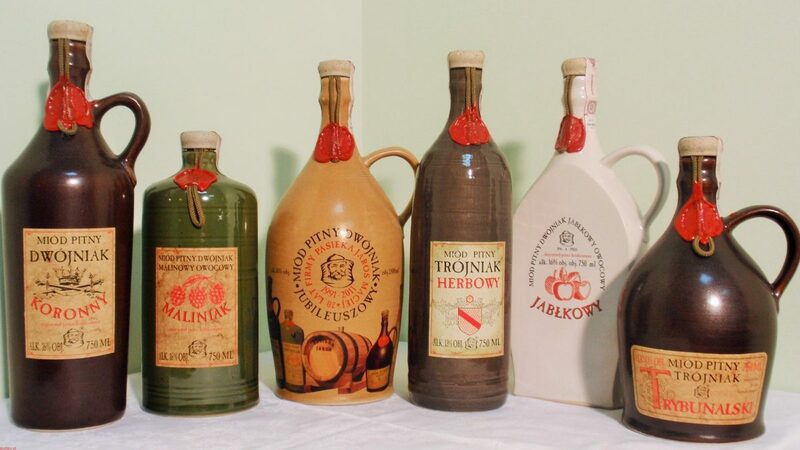 But there are a few other types of Polish liquor that you may see at a Polish party – perhaps even the odd burning wine! Nalewka, or Polish liqueurs, are a sweet kind of alcohol extract made from fruits, spices herbs and even flowers. They are of a similar strength to most kinds of vodka. You may be served a nawleka in a little glass, and just like vodka, it is to be sipped and savoured. Sweet Polish liqueurs often accompany a spicy and meaty meal, while the sweeter kinds are enjoyed as a dessert drink. Mead is one of the oldest alcohols around, so it’s of no surprise that it’s a common alcohol in Poland. ‘Miod Pitny’ or ‘drinkable honey’ is produced by the fermentation of honey – another product that Poland is very very proud of. Image source and a fantastic article on Polish mead. Nowhere near as popular as many Polish Vodkas, but hundreds of year ago, it was the top-shelf alcohol, often saved for special occasions like weddings and such. Polish meads come with a variety of flavours, often being fermented with different herbs, spices and fruits. So there you have a brief summary on Polish vodka, the best vodkas and how to drink vodka in Poland. Vodka the Polish way for me is something that I’m still getting accustomed to, and I have to say that at the moment, it still all tastes the same to me. If I can taste a difference, my palette isn’t ‘mature’ enough to know what that difference is. What vodkas did I miss out on? What your best Polish vodka? Let me know in the comments! It is my understanding that in order to celebrate the 1569 Union of Lublin in which the Duchy of Lithuania joined the Kingdom of Poland to become the expansive Polish and Lithuanian Commonwealth the pure grain vodka we all know today was created mark the celebration to which many of Europe’s nobility attended. The Swedes were the second country to get the licence to produce it followed by Holland which was then a major trading partner of Poland importing and exporting through the ancient Polish port city of Gdansk. Some claim that the many Scots who at the time settled the Polish lands brought the distillery technique to the Poles. But. who is to know the actual history of vodka. One thing for sure it grates with the Poles when most of the world assumes Vodka is an exclusively Russian invention. So instead of people asking the barman for a Black Russian they might as well as him for a Black Pole.